After a bittersweet few years, Diane Kruger is looking ahead to the future. The German-born actress sat down for a candid interview with U.K.’s iNews, opening up about her career, loss and a newfound happiness in her personal life. Reflecting on her emotions, Kruger, 42, revealed she was in a “dark place” following her breakup with her then-longtime boyfriend Joshua Jackson back in 2017. 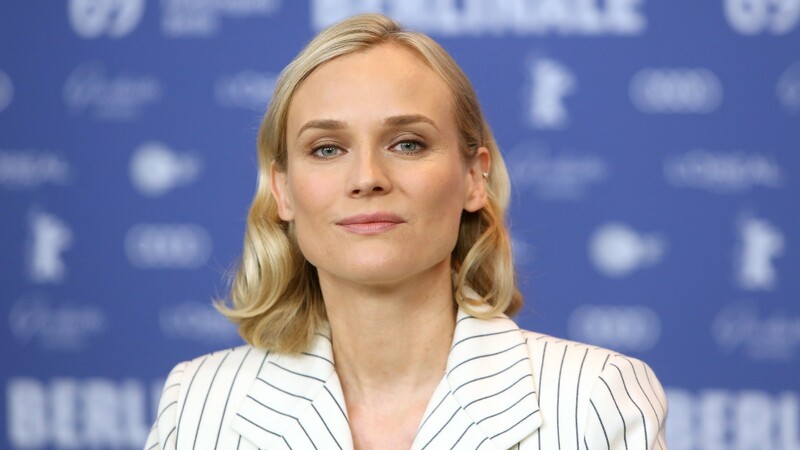 The split coincided with deaths in her family and a best actress award at the Cannes Film Festival for her role in Fatih Akin’s In the Fade, a film about a woman seeking revenge for the death of her family. Things took a turn for the better when Kruger and The Walking Dead‘s Norman Reedus, 50, went public with their relationship in late 2017, welcoming a baby girl (their first child together) just a year later. The notoriously private couple rarely turn to social media for PDA but have offered glimpses into their world over the last few months. The film is slated for a 2019 wide release and created quite a buzz at its Berlin Film Festival premiere in February.